The Cherry Mama: Protein, Caffeine, and Nectresse, Oh My! 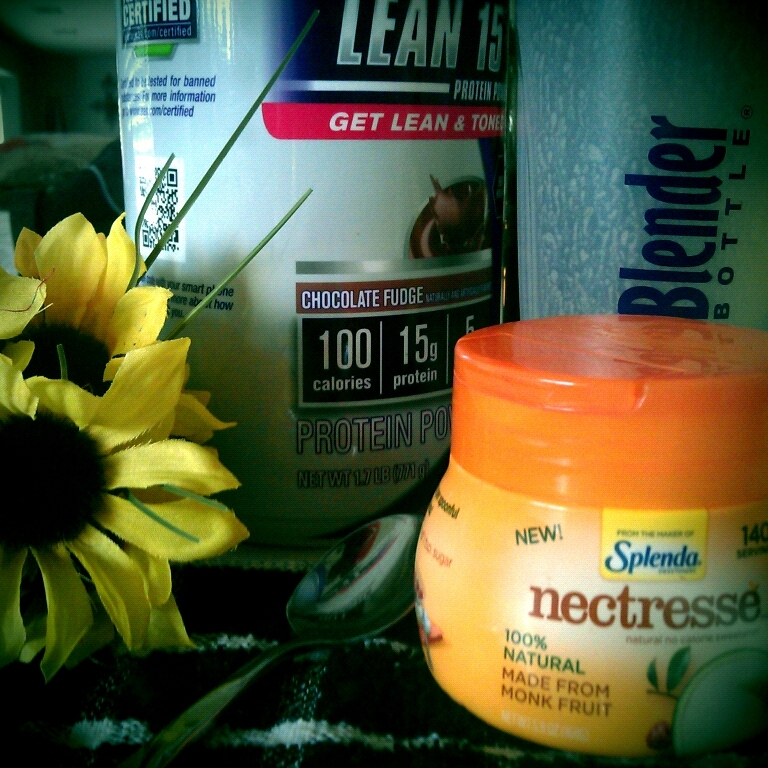 Protein, Caffeine, and Nectresse, Oh My! Adapted from Fit is the new black. ♠ 1 scoop of vanilla or chocolate protein powder. I use a vanilla flavored vegan brand, that has 22 grams of protein per scoop. That’s half of the protein I need for the day! ♠ 1 cup of unsweetened almond milk- I like unsweetened almond milk because it’s dairy free, provides extra protein, is creamy, and only 35 calories. However, you can totally use whatever type of milk you want. ♠Nectresse to taste. I actually add it to my coffee like I am going to be drinking it before I add it to the blender. I don't want to over do it! I was originally not using any sweeteners because I have found that they all can be overwhelming and they do not enhance any flavor. Add all ingredients to blender and go to town! I pour it into a blander bottle because it make a lot and the blender aeration adds to the volume. It is very filling, and I now have breakfast and coffee in a better for me way. I just started using Nectresse, it is from the makers from Splenda. I will have to say I was slightly weary because I have not been a fan of zero calorie sweeteners unless it was a Stevia type but some times I found even that was too much. 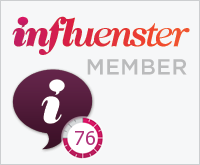 I had received my sample in my VOXBOX from Infuenster. After trying it out in my coffee I was surprised. I tasted my coffee, NOT sweetener. I tried it in my tea's which is a tough test to pass. I like a lot of fruit teas, and strong herbal teas and they are best with agave. But sometimes agave or honey can be too sweet, and added calories. Nectresse did the job with out over powering my tea! After all those basic tests I am ready to use in my protein shake. The best part is that I am also using less sweetener too. You only have to use 1/4 teaspoon for every teaspoon you use! It must be that monk fruit, Nectresse is made with Monk fruit and 100% natural. I am very happy with the final results, and will continue to use Nectresse.